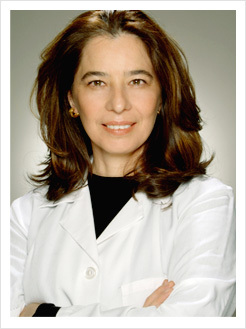 Dr. Martha Cortés is trained in Neuromuscular Dentistry diagnosis and treatment. She aspires to help you recover from this condition and achieve dental and general well-being. Do your jaw joints click, pop, grind and cause you pain? If so, you may be one of the many undiagnosed TMJ Disorder sufferers. Neuromuscular Dentistry seeks to eliminate your oral pain and discomfort, recapturing the harmonious functioning of your mouth. Neuromuscular dentistry incorporates the combined knowledge of the mouth, teeth, gums, jaw, facial and oral tissues. It is an expansion of traditional dental techniques to focus on occlusion. This technique evaluates the relationship between the teeth, the Temporomandibular Joint and muscles, in order to realign your bite and resolve your TMJ / TMD symptoms. To recapture your dental and general well-being with comprehensive TMJ treatment, contact Dr. Martha Cortés today. We recognize the connection between your oral health & general well-being. Visit our Holistic website.